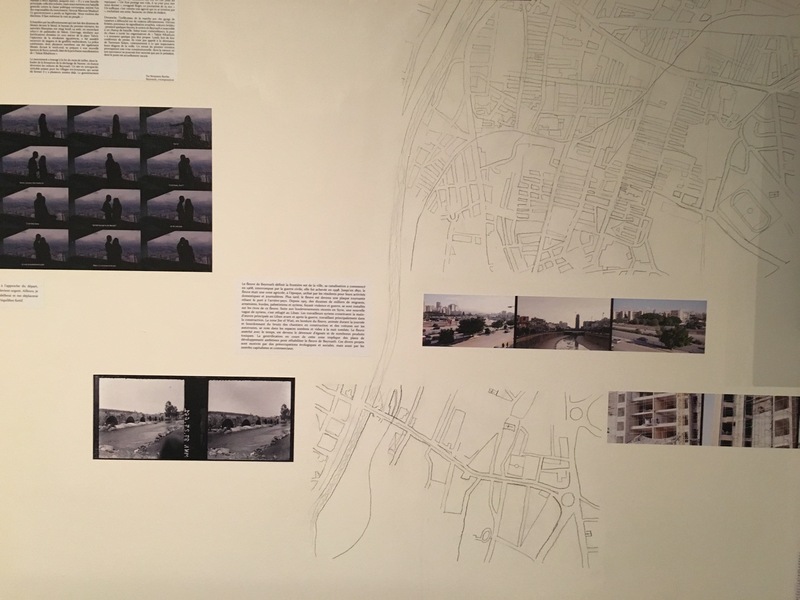 This solo exhibition features the film ‘And the living is easy’, the installation in 3 parts ‘And the living is easy – Variations on a film’ and the video ‘Beirut 1001 views’. but those of the entire region. This state of suspension is at the heart of my feature film And the living is easy, which I directed in 2014 and which will be screened daily during the exhibition. 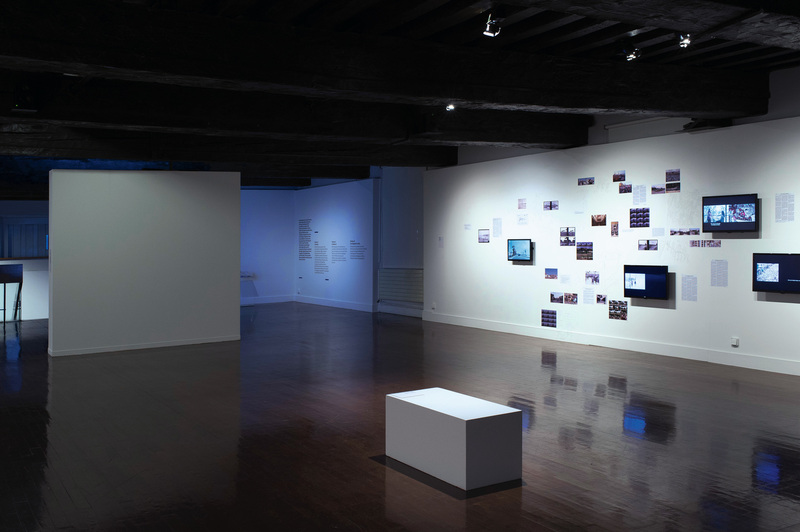 What are the questions that arise when one shifts from the filmic space to the exhibition space? 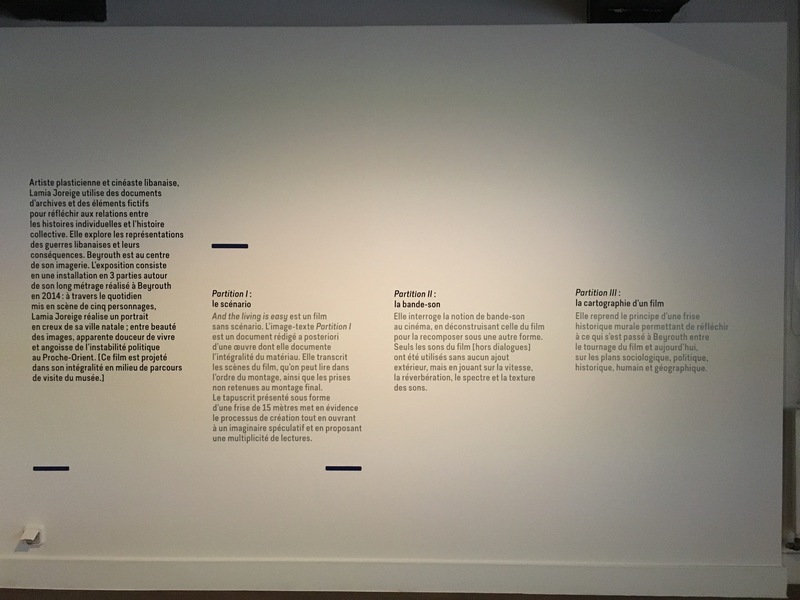 What happens in the thought process guiding a piece from its origins to its creation; and, inversely, after it is realized, what happens when we undo it, rethink it, and reinvent it? 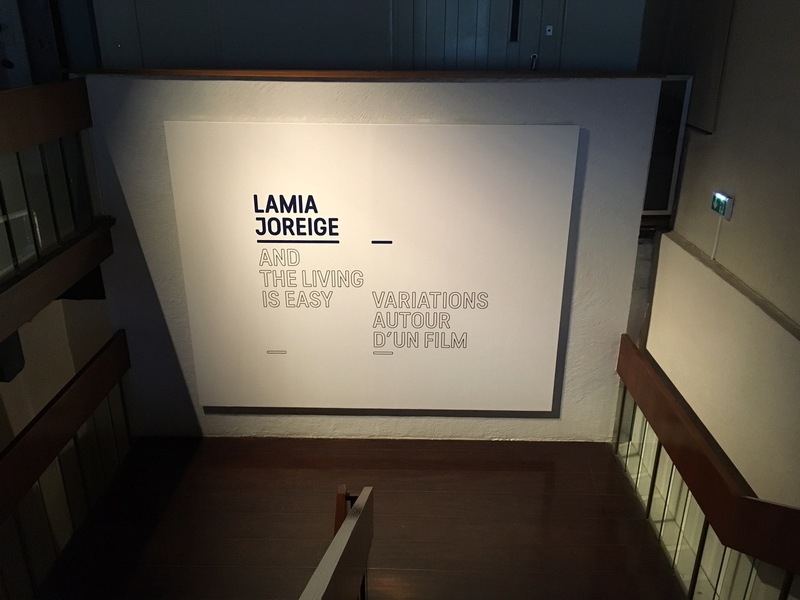 The installation And the living is easy – Variations on a film interrogates the fabrication of my feature film And the living is easy (2014) and the possible forms it creates. 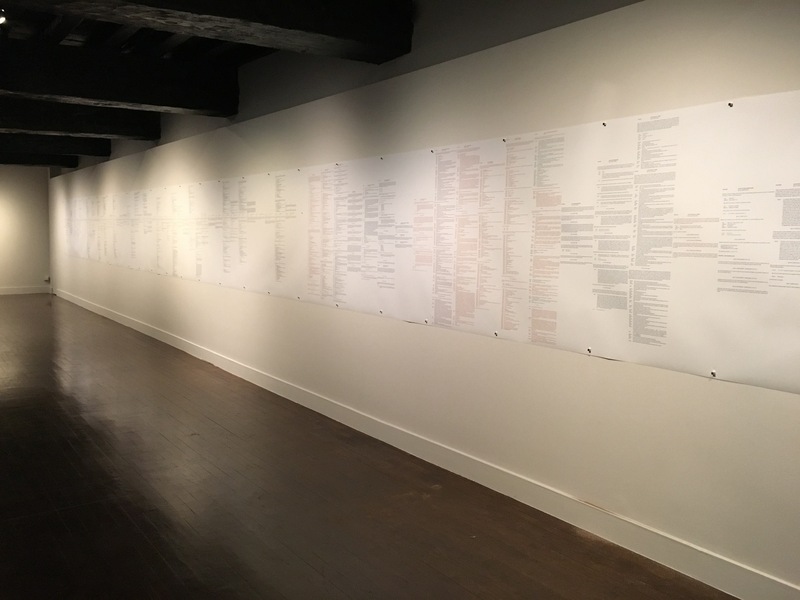 It is divided into three parts, or Scores (Partitions, in French)—the Screenplay, the Soundtrack, and the Cartography of the film—that reconfigure the material, space, and length of the film in the exhibition space. There never really was a script for And the living is easy. The shooting took place in 2011 and was entirely based on improvisations. The scenes were inspired by places in the city and by the desires of the characters, who, for the most part, were not professional actors and mainly played their own roles. 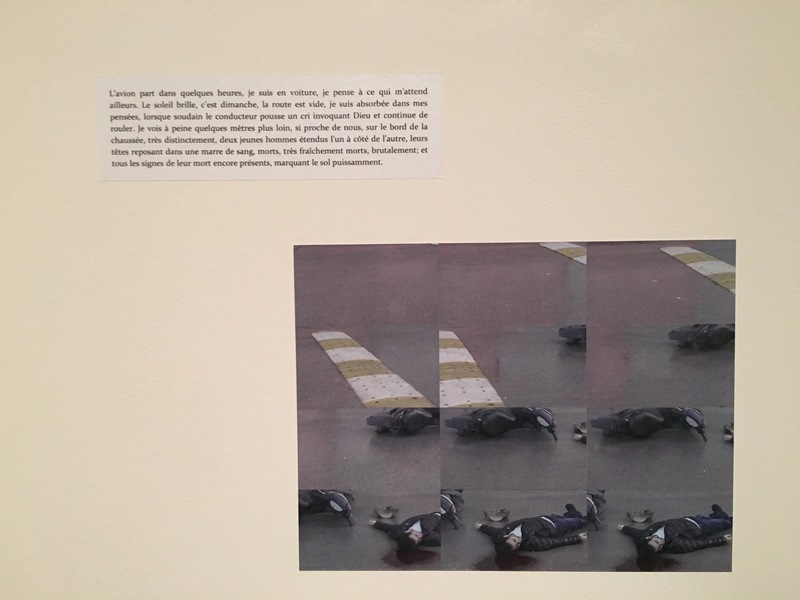 Thus, Score l, the image-text is a document written after the work whose entire material it traces, from the shooting to its realization: it encompasses the shooting and the production—including the scenes in the same order they were edited—the corresponding takes that were dropped during the editing, as well as the scenes that were shot but discarded in the final cut. 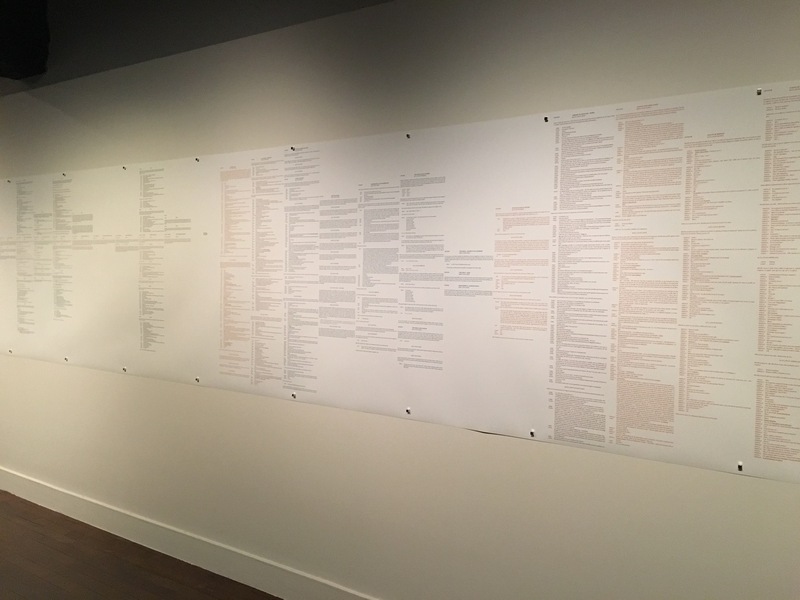 The typescript, presented as a frieze of more than 15 meters, underscores the creative process while allowing for speculation and suggesting multiple readings. 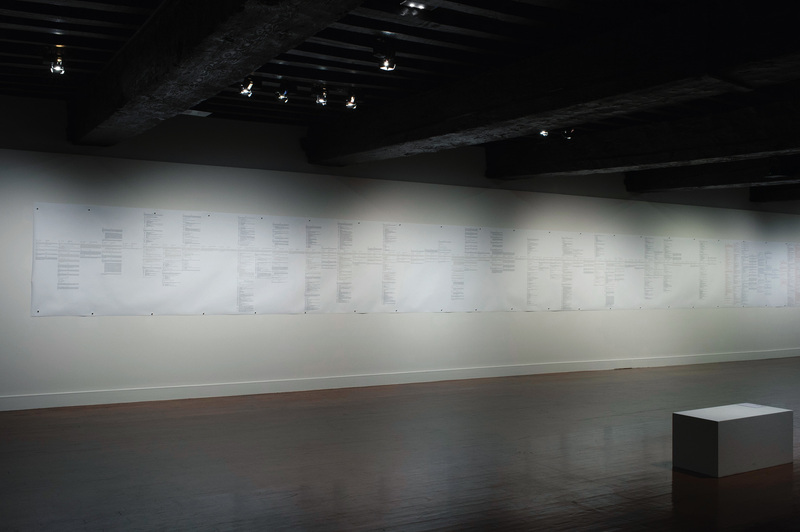 Score II, the soundtrack, is a sound installation in collaboration with Charbel Haber, set up in the exhibition space. 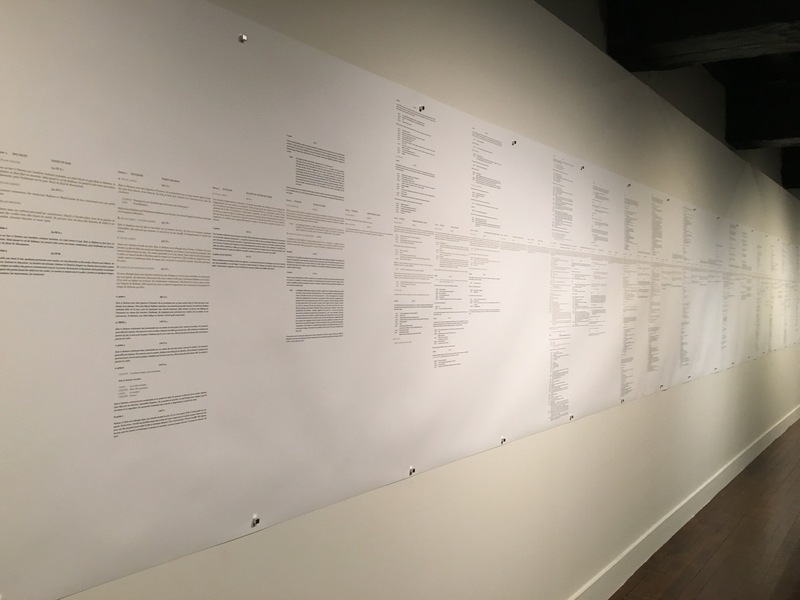 This work interrogates the notion of a soundtrack in cinema by deconstructing that of my own film and recomposing it in another form, another tonality, and within a different spatial configuration. The challenge was to use no external instrument, whether analog or electronic, and to work only on the soundtrack of the film, without adding anything, yet working on the speed, reverberation, spectrum, and texture of the sounds. the question of history and its possible narratives is central. 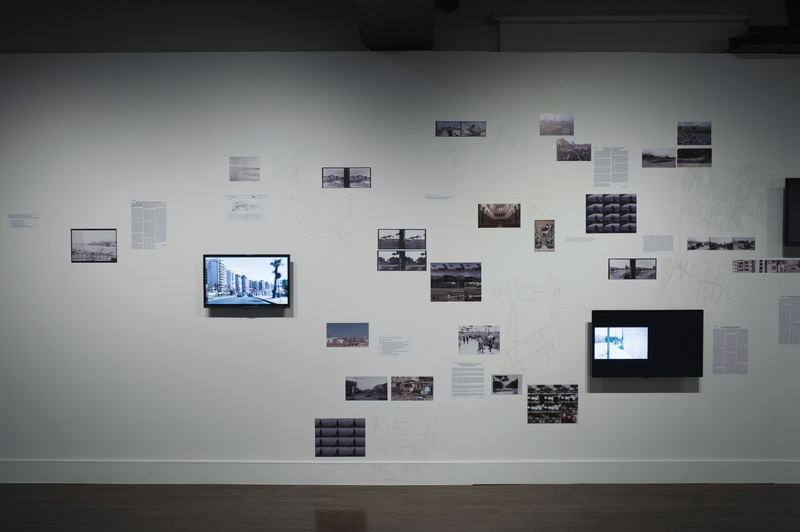 As a prelude to the main installation, Beirut 1001 views, the second chapter of Beirut, Autopsy of a city (2010), will be presented in the exhibition. Evoking a palimpsest, this video based on photographs from various periods, brings together different temporal elements that perpetually fluctuate between absorption, disappearance, and reconfiguration.